If you’re experiencing pain, discomfort, numbness or tingling, it may be due to a subluxation. This misalignment of your spine can also result in muscle tension or inflammation, which is caused by your body circulating blood to the affected area so that it can heal. You may have asymmetry such as one shoulder that’s higher than the other, a head that shifts in one direction and not the other, or an imbalanced pelvis. Your range of motion and mobility can be affected. As a chiropractor, Dr. Wines focuses on restoring the motion to any restricted area, decreasing the irritation to the nerve root that’s causing your symptoms. There’s more research than ever emerging about the benefits chiropractic care can offer you. It boosts the immune response, so much that many cancer treatment centers now have chiropractors on-site for their patients. Every time you receive an adjustment, your brain activity is positively affected. There are even studies that show it can support hormone regulation and function. 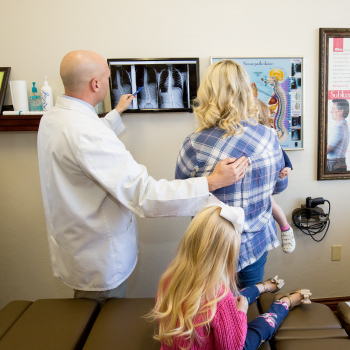 Everyone is unique, and your care at Active Chiropractic Health & Wellness will be tailored to your needs as determined by our comprehensive evaluation process. You’ll be given regular progress reports, making any adaptations to your plan as needed. The many conditions Dr. Wines sees include headaches, sciatica and back pain. Several techniques are used depending on your needs. As a Palmer College of Chiropractic graduate, he uses the Palmer Package, which includes Diversified and Gonstead. Elderly or osteoporotic patients benefit from our drop tables and the Impulse® or Activator® instruments. Contact Active Chiropractic Health & Wellness in Norman today to book your time! We offer convenient early and late opening hours.